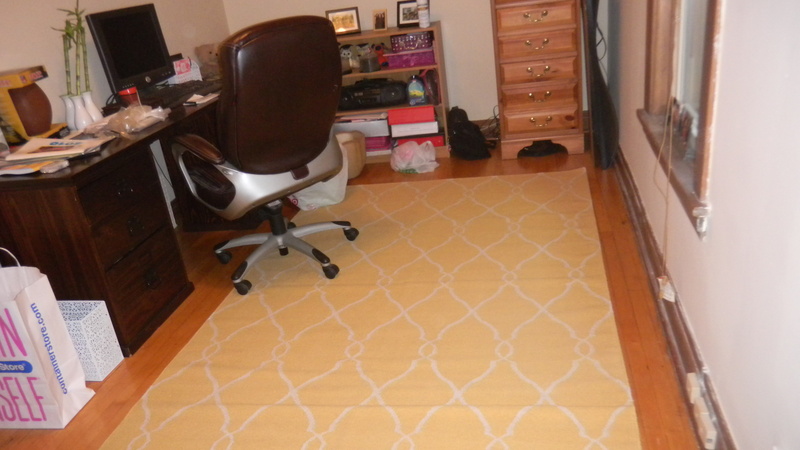 I looked far and wide to get a good deal on a fun yellow rug for our office. 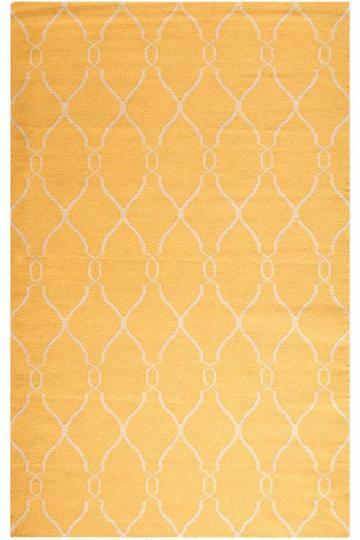 A rug is a great way to add a pop of color to a room, without having to paint. 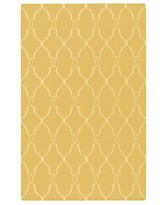 I loved this Surya area rug from Macy’s, but I couldn’t stomach the $549 price. Way out of our budget. After some research, I was able to find this much less expensive version from Home Decorators. Pretty similar, right? We ordered the less expensive doppleganger of the Macy’s rug and it arrived at the store for pick up. Woohoo! Home Decorators is owned by the same company as Home Depot. They don’t have physical stores everywhere, so they are mostly an online store. However, as we found out, if you find something you like from their online store, they will ship it to any of their stores for free, and all you have to do is go get your purchase. Luckily, there’s a Home Decorators in Chicago. Saved us $20 in shipping. Yeah! We ordered the yellow Argonne rug in a 5×8 size, which I originally thought would be too big for the space, but now I’m glad we ordered that size. It fills up the room and is visually pleasing. Have a look. I’m glad we spent a little more money for a nice rug, instead of buying the more expensive curtains we were both drooling over. 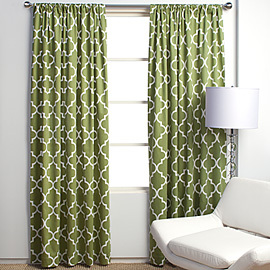 While I loved the fun pattern of these mimosa panel curtains in apple green from ZGallerie, they are quite a pretty penny. Add to that the fact that when we do eventually buy a place of our own, we may have 2 or even 3 windows in our new office. What are the odds of finding these curtains a couple years from now? So, we reasoned that the rug was the better investment for us right now. And because we don’t want the room to look pattern crazy, we’ll definitely be purchasing some solid green curtains because we have a patterned rug. We always knew we’d get either a patterned rug or patterned curtains. Never both! Don’t worry though. I have a great idea that will add in a playful green pattern to the room. Just wait and see. « Hey, Smalls, you want a s’more?